Great week around the Sanatorium. I got clearance from the doctor to drive and resume some of my activities, but I think I went too hard, and I've been laid out yesterday and today--couldn't make it to Church. I guess I still need to take it slow. Who'd a thought only 18 days post-surgery? I know. You're all wondering what was so funny. Well, as the kids approached the crossing guard, she directed them not to the playground but straight to their classrooms because "It's too cold to play outside today. It was 33 when I got here!" She works at an elementary school and said they've had indoor recess all week because of the cold. Somehow none of them had any sympathy for us "frozen" AZ people! Brad and Evie went to the school's Daddy-Daughter luau. 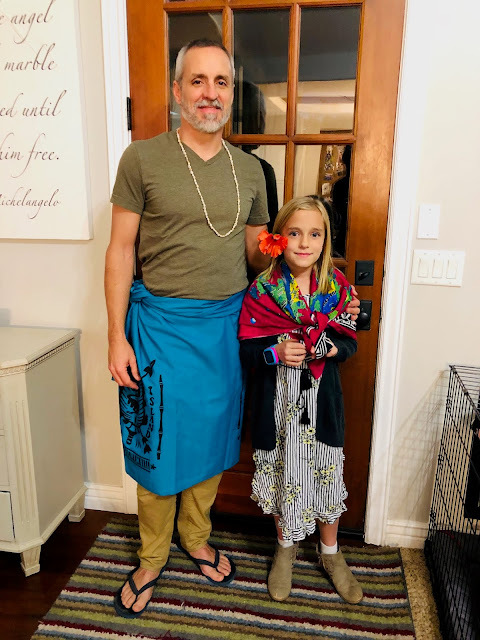 Brad got to pull out his stuff from Fiji and rocked it, but Eve wasn't too impressed and shed her scarf quickly. 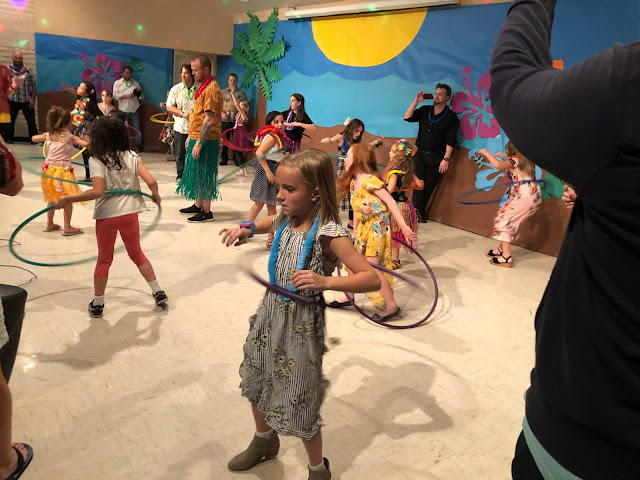 But that girl can hula hoop with the best of 'em! I'm so happy our school takes time to do activities like this--a few treats, speakers and some tunes and the girls had a great experience. Gotta love my Rum. That kid is self-motivated. He had the science fair this week, and I've been gone much of the first month of school and was little to no help with it. 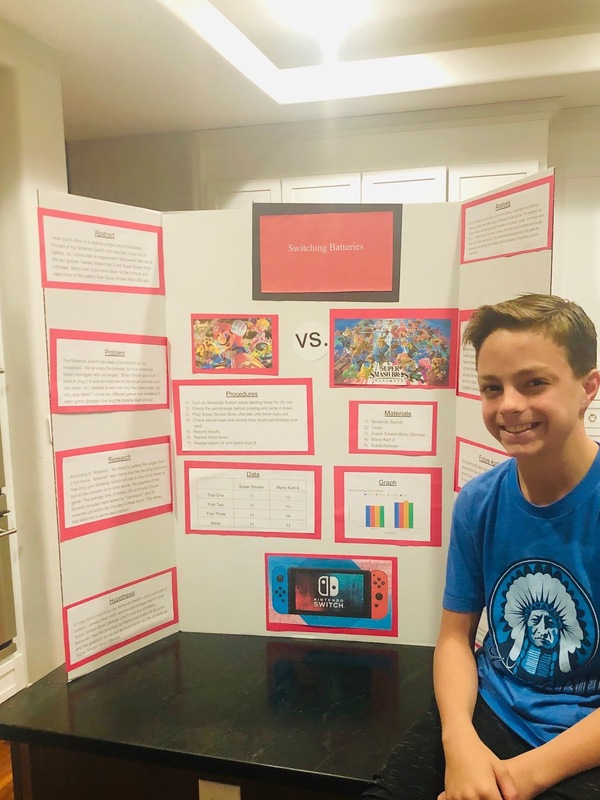 He chose his own project (comparing graphics drain between two different games on the Switch), adapted the project (initially, he thought playing each game three times until the battery died would be fun, but when the first trial took almost four HOURS, he amended it to three 30-minute increments, measuring the battery drain each time--life lesson and a win for Mom! ), wrote up the project, and constructed the project. I only helped with proofreading his slides and showing him how to use my paper cutter. Granted, this project probably won't win (because many parents enter "their" projects at science fairs), but this was Hyrum's project, and he was really proud of it. And I was proud of him. 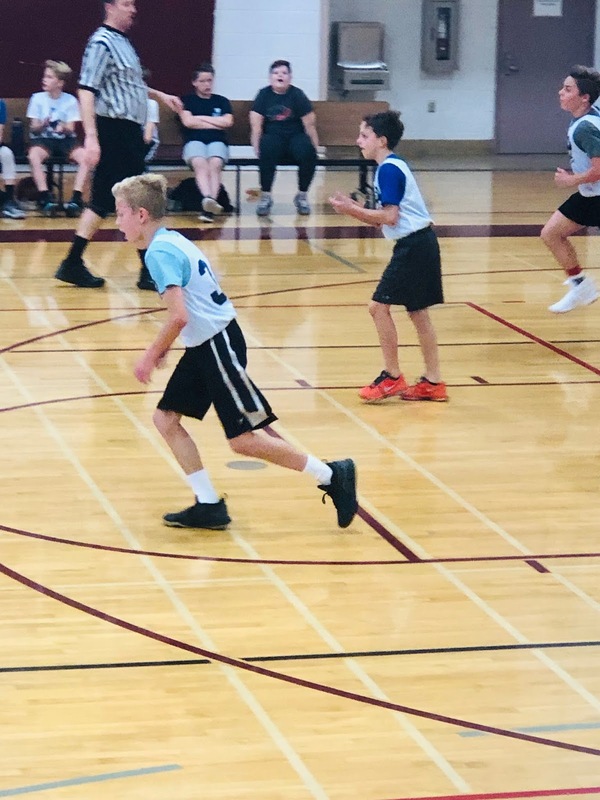 Speaking of Hyrum, he's playing basketball this season. It may not be his favorite sport, but he's on a really good team and they're fun to watch. In the four games he's played, he's only put up shots in two. When I asked why, he retorted, "Why should I when there are three incredible shooters on my team and I can pass it to them?" Another good life lesson. All she wants to be in life is a teacher. 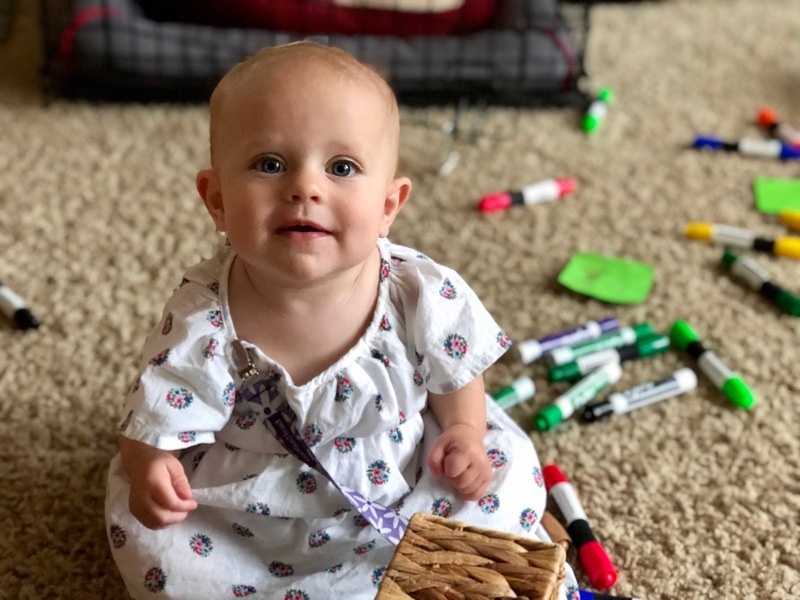 She learned how to use our printer as a copy machine (possibly a big mistake on my part! 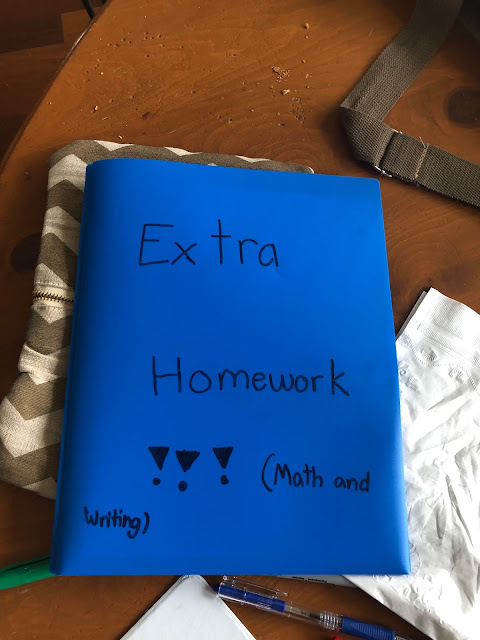 ), and she's been writing up homework packets and warm-up packets and math sheets ever since. As she inspected her latest seating chart (she means business, people! ), I heard her utter under her breath: "I just really want to be a teacher so bad!" It's in her genes--great-grandpa, several great-aunts and -uncles and cousins, plus an aunt, an uncle and her mom. Her chances are pretty good, I'd wager. 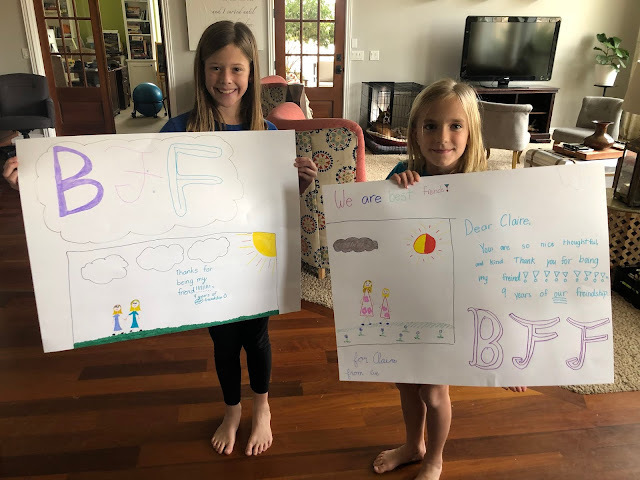 She and her best buddy also made these posters yesterday and called them their "BFF posters." Only three weeks apart in age, these two have known each other their whole lives and were destined to be BFFs when both moms found out we were both having girls. Funny: As they were admiring their work, I overheard one of them say, "Let's hang these in our college room!" 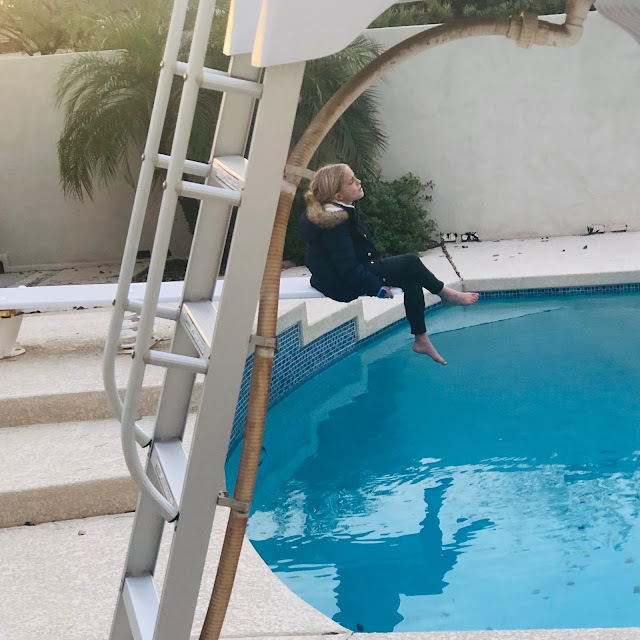 And you know you're an AZ kid when you get "banished" outside for an hour in the winter and you wear your parka to sit on the edge of the diving board and sing. One Denton Sanatorium tradition is waffles every first Sunday of the month. 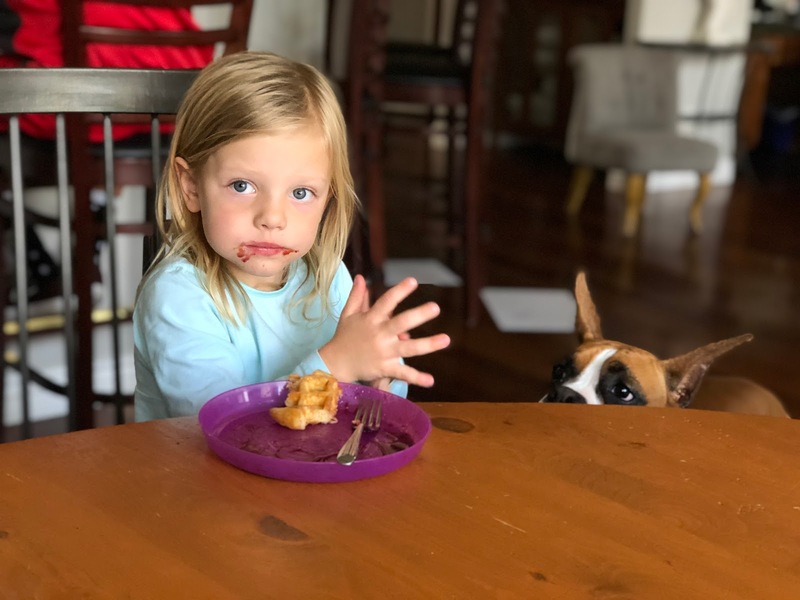 Annie loves waffles, and if the menu ever varies on this day, she lets me know. Looks like Cleo was hoping for something to slip to the ground! And look at baby Caroline! This little one is so sweet-tempered and calm. She keeps herself pretty busy now that she can crawl and pull up to the furniture. 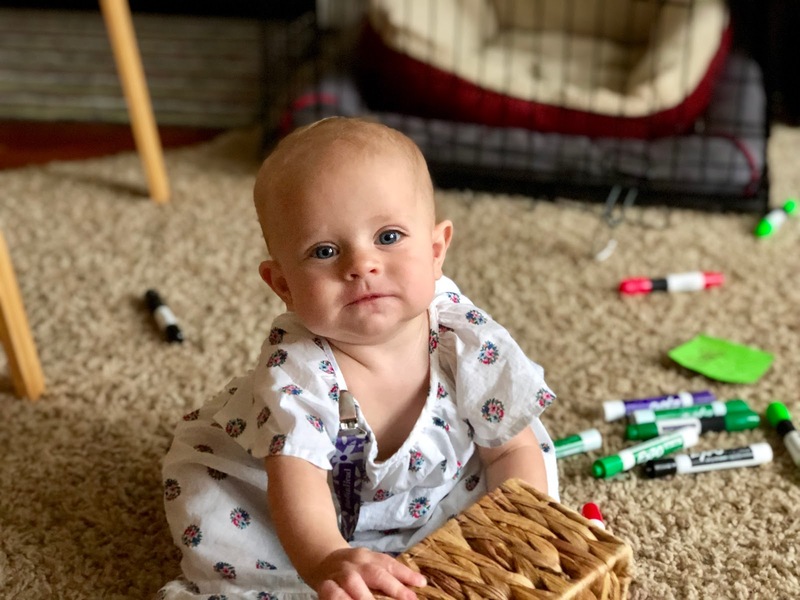 Looks like she might be an early walker like her big sister! Caroline loves people and lights up whenever she locks eyes with someone. I'm so glad they live close and we see them all the time. Brad snuck this picture of Karli during the Super Bowl, calling it "Mother's hands." The irony of the pic is that Karli is right-handed but she snagged a quick moment to "practice her leaves." 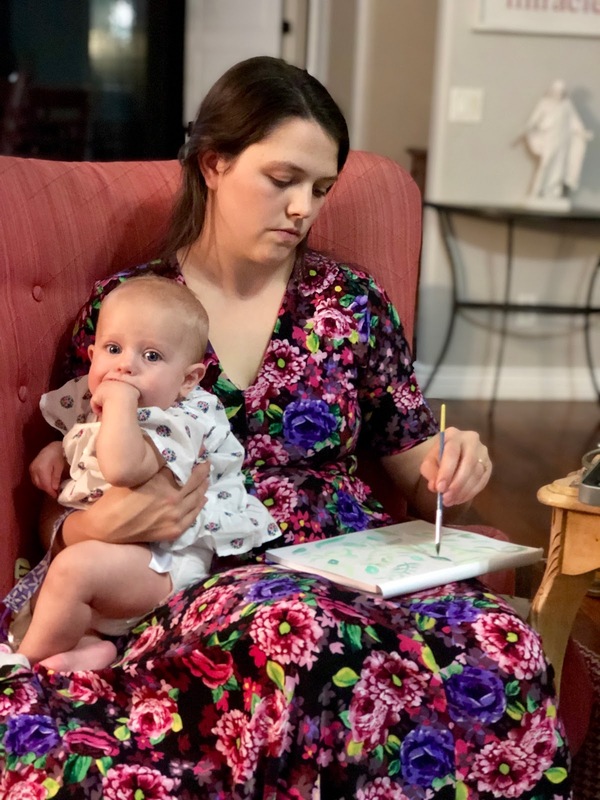 She's an incredible artist, and even left-handed creates much more than I can with two good hands, an empty lap, and hours of work. 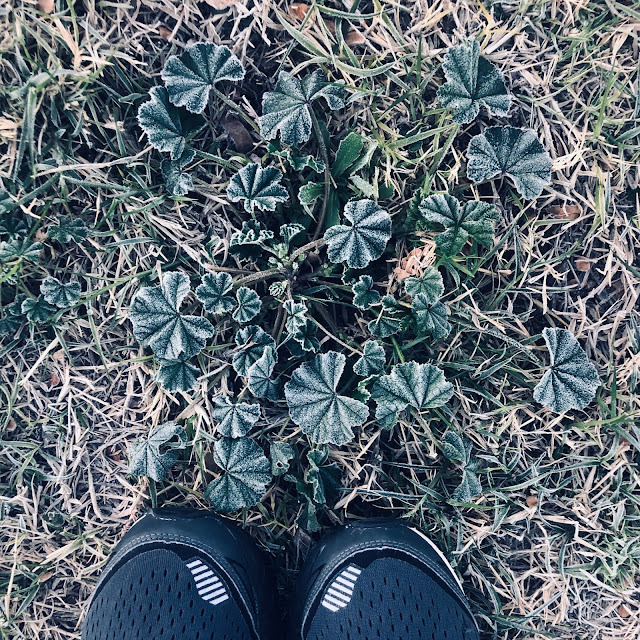 I took Cleo out for two truncated morning walks last week, and it felt so good. I know now that I'm still not ready for all that, but I know I'll be back out there sometime soon. 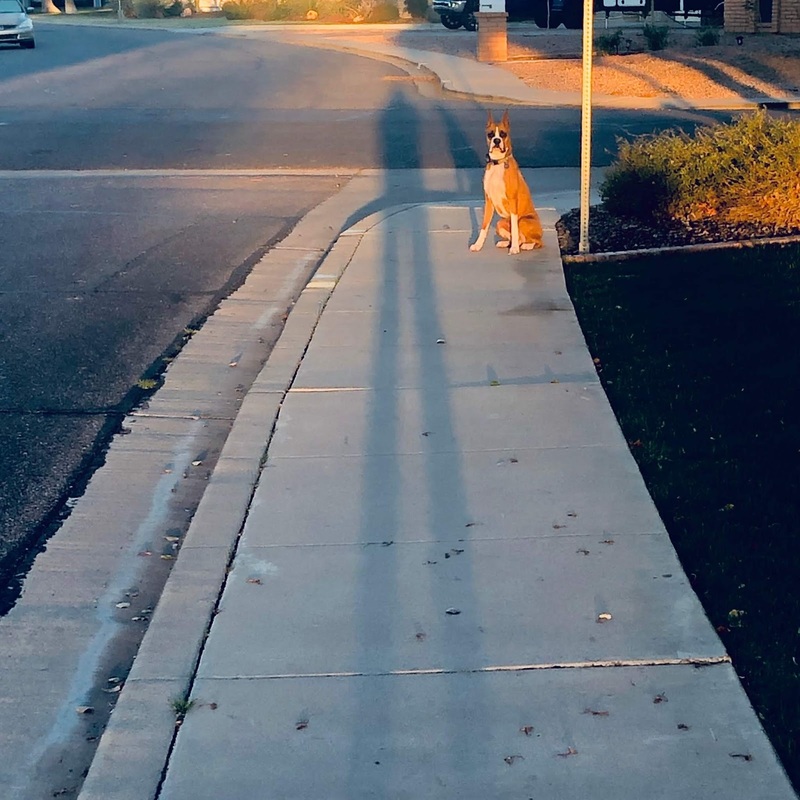 I've been working with her to stay on our corner without her leash as I walk away. She's not allowed to leave until dismissed, and she will sit there for a couple minutes, but when I say okay, she bolts across the yard like she's been a prisoner for hours. The light was so pretty that morning that I had to snap a quick shot. Here's to a week of still more resting and listening to my body and what it is and isn't ready to do.